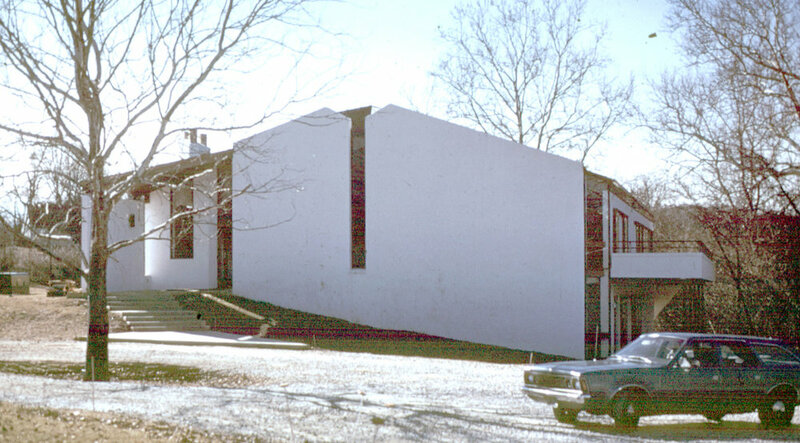 The Towson Unitarian Universalist Church is located on Dulaney Valley Rd. a short distance North of the Baltimore beltway. 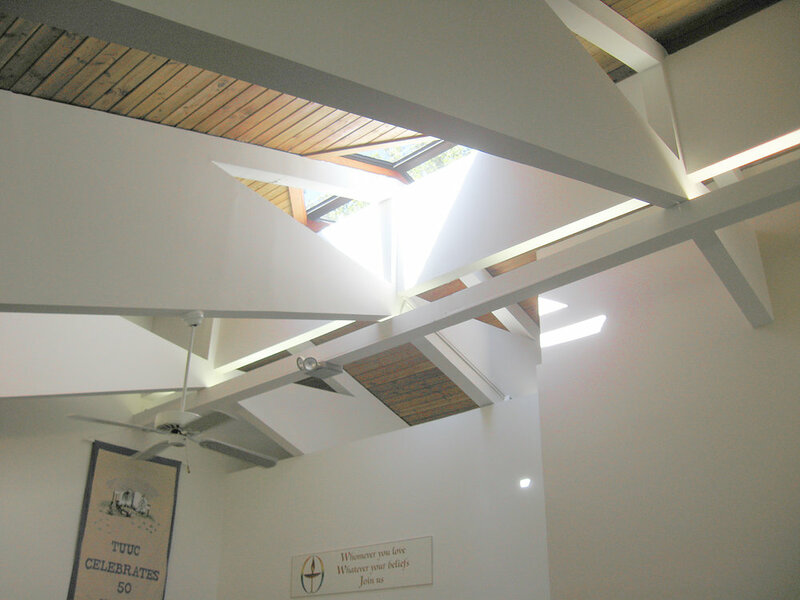 Selective use of custom job-built skylights allows many wonderful changing light patterns to penetrate into the facility. 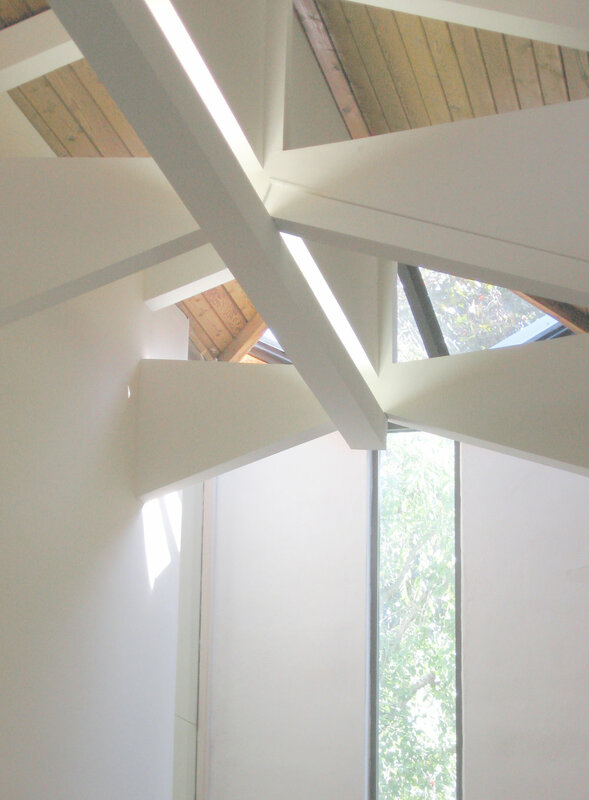 The roof structure of the building is composed of exposed wood planking laid on top of gang scissor trusses spaced 8' apart. 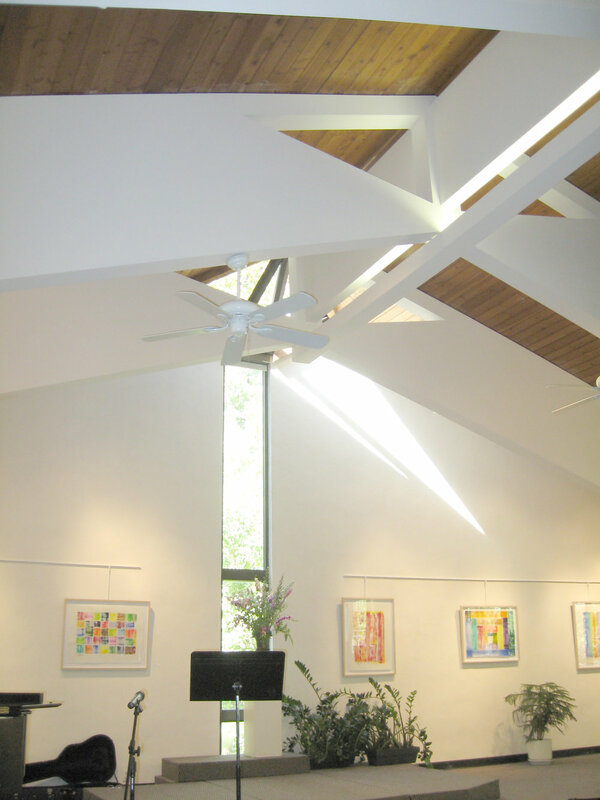 The trusses are covered with drywall except that some openings in the trusses are featured at the center of the spans. The lower level is devoted to the Church's religious education programm and houses a daycare center during the week. 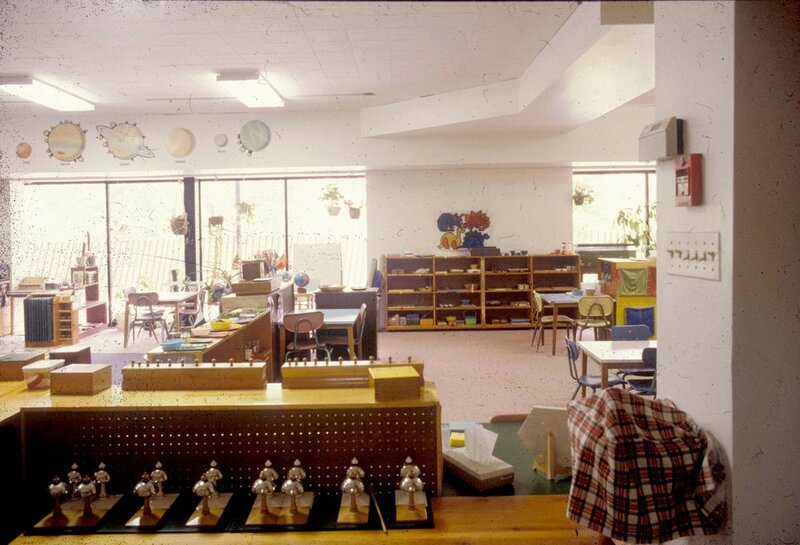 The income from the daycare center helps offset operating costs of the building.